The spin-off of the popular Jak and Daxter franchise has arrived, but will it live up to the "Jak and Dak" name? Story? What Story: The story of Daxter takes place in the void between Jak 2 and Jak 3. During the time in between those two games, Daxter goes undercover as an exterminator to try to find out where his friend Jak is. The story is there, but Daxter doesn't use it often enough. You will get calls from various people from different parts of Haven city, all of them wanting you to kill one type of bug, over and over, in "different" environments. 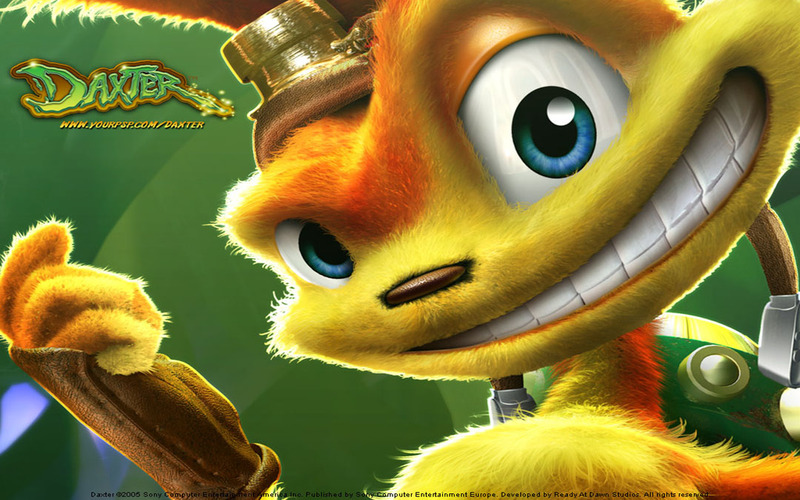 One Of A Kind: That's where the biggest problem lies in Daxter, the repetitiveness. As you traverse through the game, you will only encounter about one kind of bug. While you may see "different" variants of the same bug, they are almost always the same bug. The Tools: Another aspect that the game could've been improved in is the weapons that Daxter has. The insect-killing weapons vary from a stick that zaps to bug to death, and a spray that kills the bug with fumes. That's about it, that's what you have to work with. The fact that you only have two weapons on your journey is a huge flaw in the game. There is no reason to try to accomplish the game after you acquire both of those weapons. Rent vs. Buy: Despite all of the blunders that this game makes, it's still an ok game. Daxter is a little repetitive, and the fact that there is nothing to look forward to after the first seven missions is a little sad, but this game is still decent. IF you can find Daxter cheep, then go ahead and pick it up. Daxter isn't going to win Krakrabbit's Game of the Year award, but its still a solid game to kill time on the portable console.